Vietnam’s capital city has made no progress from last year’s ranking of 155 in the 2019 Quality of Living Index compiled by Mercer, the New York-based consultancy. Ho Chi Minh City, the country’s biggest city and commercial hub, has not fared much better, moving up one place to 152nd in the global index that measures 231 global cities in political, social and economic environments against medical and health considerations. The ranking also factors schools, public services and transportation, recreation, consumer goods and housing. The two major Vietnamese cities lagged well behind other Asian cities like Tokyo (49th), Seoul (77th), Taipei (84th), Beijing (120th), Bangkok (133rd), Manila (137th) and Jakarta (142nd). 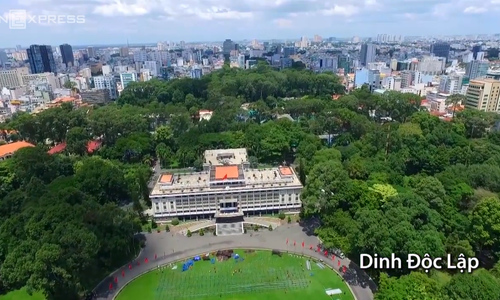 Both Hanoi and HCMC have experienced rapidly declining air quality over the past year, marking them among the polluted cities in Southeast Asia. The air pollution has been blamed on construction projects, expanding fleets of cars and motorcycles and heavy industry, including steel works, cement factories and coal fired plants surrounding the capital city. Singapore remains the most livable city in Asia, 25th in Mercer’s most recent rankings. With a population of 1.8 million, Vienna topped the list for the tenth year in a row, boasting a vibrant cultural scene, comprehensive healthcare and moderate housing costs. Vienna is followed by Switzerland’s Zurich; and then New Zealand’s Auckland and Germany’s Munich in joint third position. Yemen’s capital Sanaa, devastated by conflict, ranked two places above Baghdad, and Syria’s Damascus, seven years into a civil war, ranked six places above the Iraqi capital.